Peel Engineering started out manufacturing bubble cars in the mid-1950’s on the Isle of Man. Originally the brainchild of inventor Cyril Cannel, these quirky bubble cars have found new fame in the 21st century through Television and the media and been re-launched in limited numbers for the enjoyment of a whole new generation. Peel Engineering was founded originally founded in the early fifties by inventor Cyril Cannel. The company started out primarily making fibreglass boats and motorcycle fairings but Cannel became interested in making cars due to a lack of privately-owned cars on the island at that time. Peel Engineering’s first car was the three-wheeled Manxman, released in 1955. Powered by a 250cc two-stroke engine. Relatively little information seems to exist about the car and only one was made, to be followed by the Peel P50 in 1962. Peel’s most famous car today is undoubtedly the Peel P50 microcar. Although originally manufactured in tiny numbers (approximately 50 cars, 1962-1965) the car has held the Guiness world record as the Worlds Smallest Production Car of all time since 1962. The Peel Engineering company ceased trading in the mid-1970’s. The company had also manufactured the Peel Viking Sport and prototype GRP Minis for British Motor Corporation(BMC) as well as a limited-run Peel Manxkart go-kart. To this day Peel are the only company that have manufactured cars on the Isle of Man. 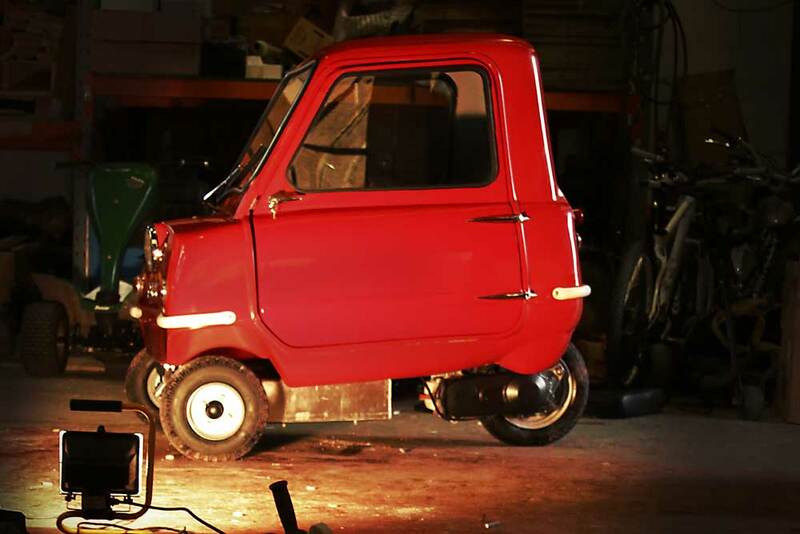 In 2011 Peel was acquired by car enthusiasts Gary Hillman and Faizal Khan and production of the fantastically quirky P50 and Trident micro cars has re-started. 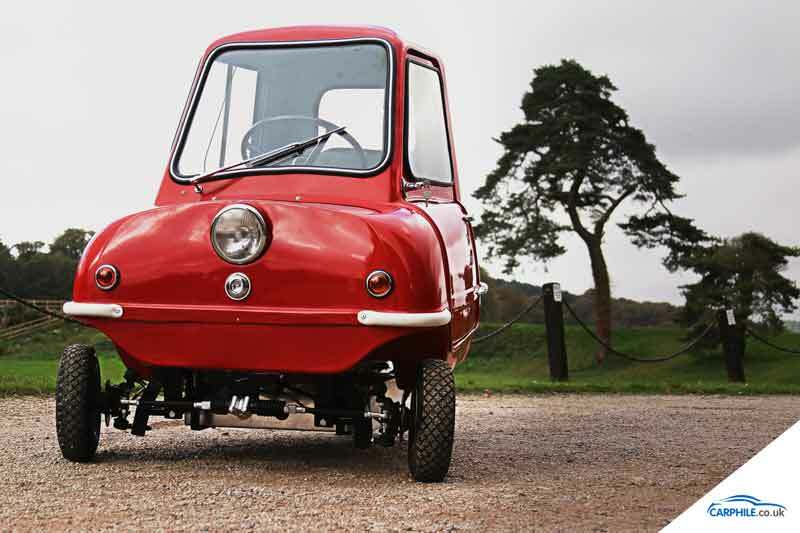 Peel Engineering are based in the United Kingdom, they currently manufacture petrol and electric versions of the P50 and Trident microcars.